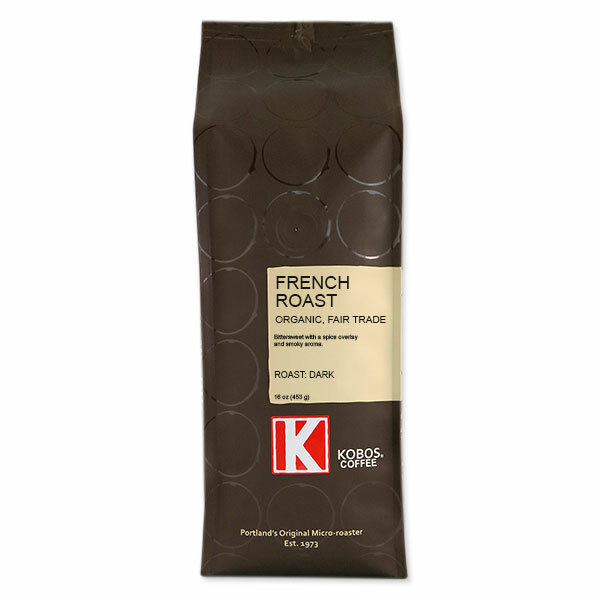 A single-origin, fair-trade French Roast coffee with a deep charcoal flavor. Bird friendly and shade grown. Because the beans are so dark, the flavor of this coffee is dominated by it’s roast. A bittersweet quality permeates the cup. And there’s a subtle overlay of spice while the aroma remains smoky. 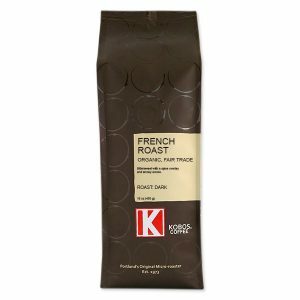 This is a well balanced French Roast coffee. And the body is nice and full. Kosher. 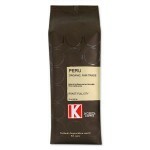 The single-origin beans we use for this French Roast are grown on a cooperative in Peru. Because the cooperative is certified by the Rain Forest Alliance, it meets standards designed to protect workers, their families, wildlife and waterways. In addition, the coffee is shade grown and bird friendly. Certified Organic by The Oregon Dept. of Agriculture. We have been buying this coffee for a long time and it is great! Strong, dark and flavorful. We buy the whole beans and grind them daily. We usually make it with a French Press but it comes out almost as good in a percolator. This is a deep, rich coffee. We love it and will reorder for sure.